Boating and Watersports: Sand Hollow is perhaps best known as a boater’s paradise. Bring your water skis and wakeboards for a day on the waves with Sand Hollow’s gorgeous red cliffs as a breathtaking backdrop. Boating fees will apply and always remember, it takes three people to ski: the operator, the skier and an observer. If you’re into something less extreme on the water, the reservoir is also the perfect place to spend a tranquil afternoon fishing. Swimming: Don’t have access to a boat? The reservoir’s rocky shores and red sand also provide plenty of space to swim and relax. However, be careful not to catch Swimmer’s Itch, an irritating, harmless rash caused by free-swimming microscopic parasites found in the reservoir’s shallow waters. Click here to learn more about how to reduce the risk of Swimmer’s Itch at Sand Hollow. Off-Roading: Sand Hollow remains a favorite local spot for fans of ever-popular off-highway vehicles (OHVs). Nestled within the park, Sand Mountain provides OHV enthusiasts with more than 15,000 acres of perfectly sculpted red sand dunes to ride. In fact, one of the state park’s most popular campsites allows ride-in access to Sand Mountain straight from the comfort of your tent or RV! Camping: Whether it’s in an RV or a tent, Sand Hollow offers two campsites for any type of roughing it. The Westside campground offers full hook-ups for vehicles (limit two vehicles per site), while the Sandpit campground is geared toward campers with a passion for off-roading and has three types of campsites with varying prices. Both campsites have fire pits, picnic tables and access to restroom facilities with showers. A primitive camping area is also available with no facilities for anyone seeking a true wilderness experience. For more information on pricing, fees and accommodations, click here. Sand Hollow is the ideal place to spend your weekends adventuring in the upcoming summer months. 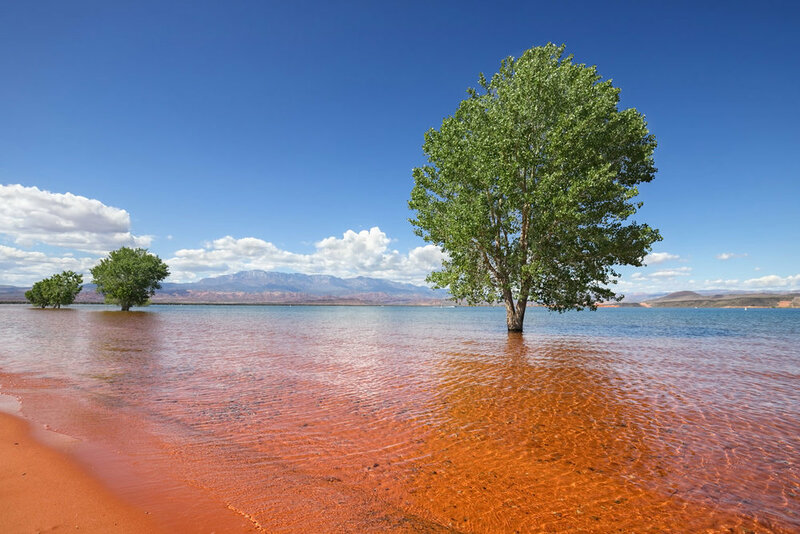 So beat the heat and get outside by visiting the most popular state park in St. George. What’s on your Sand Hollow bucket list? Let us know in the comments!